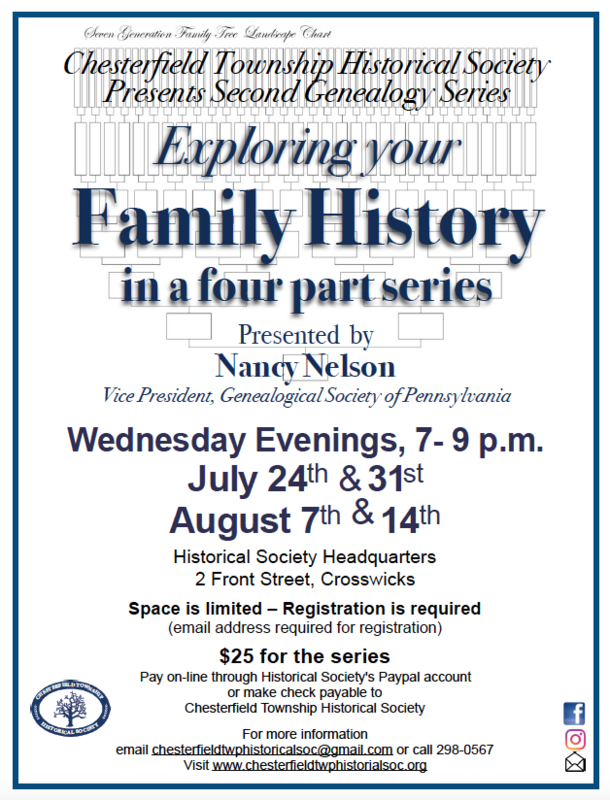 Explore your family's history in this 4 part series presented by Nancy Nelson. Nelson is the Vice-President of the Genealogical Society of Pennsylvania. Space is limited, and registration is required. An email is required for registration. $25 for the series.